Some of the nation’s largest museums have been participating in a building boom since the end of the recession, raising millions in capital campaigns and in recent years putting those dollars to work in constructing new facilities. And, the building boom is not limited to museums and hospitals as is typical. “During the Great Recession, a number of projects that started during the mid-2000s were put on hold so we’re likely seeing the conclusion of those projects,” said Randy Cohen, vice president of research and policy for Americans for the Arts. A strong economic period is usually when these large capital campaigns occur — new wings in the museum, theater renovations. The Smithsonian has been on both sides of the building boom in the past year, both continuing a historic capital campaign while also building an ambitious new facility, the Museum of African-American History, which opened in September. The Smithsonian reported spending $189.5 million with four of its highest paid independent contracts for construction services, including $131 million with Bethesda, Md.-based Clark/Smoot/Russell. The primary source of revenue for the institution has always been the federal government. Last year, it reported government grants of $895 million compared with contributions of $185 million, with significant revenue from visitors and members ($49.6 million), magazine subscriptions (34.8 million) and advertising ($12.8 million), all part of almost $108 million in program revenue. In October 2014, The Smithsonian publicly launched its first-ever organization-wide fundraising campaign. 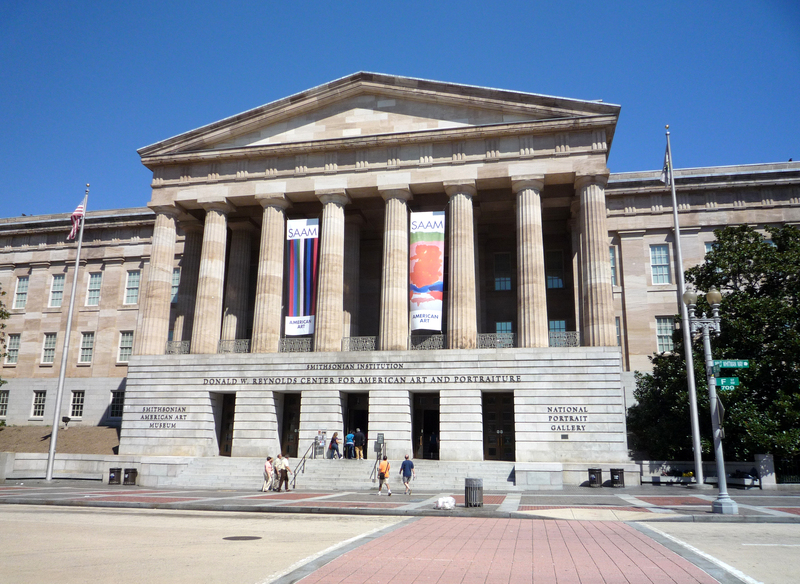 The Washington, D.C.-based museum group aimed high. The $1.5-billion goal is the largest ever for any cultural institution. Taxpayers usually covered about 70 percent of the annual budget for salaries and maintenance but that has declined to about 60 percent. The Smithsonian complex requires about $100 million annually for maintenance. Most exhibits and programs are privately funded. The quiet phase of the campaign began in October 2010. Through gifts from individuals, foundations, corporation and other donors, The Smithsonian already had raised more than $1 billion by the time it publicly launched. The campaign will continue through next year. The goals are to create new endowed positions, specifically for museum directors; represent all 50 states in its donor base; bring new donors to the Smithsonian, and continue relationships with long-time donors. The American Museum of Natural History (AMNH), the Manhattan-based facility reported revenue of almost $284 million in revenue for 2015. A drop in investment income, from $35 million to $20 million, was more than offset by a boost in contributions from $78 million to almost $160 million. It was the result of several major gifts, totaling some $50 million, twice as much as the previous year. AMNH reported spending $3.9 million on construction service contractors on its most recent Form 990. The museum has embarked on its most significant project since 2000 when the Hayden Planetarium building became the Rose Center for Earth and Space. The Richard Gilder Center for Science, Education and Innovation is a $325-million, six-story addition scheduled for completion in 2019 — the institution’s 150th anniversary. The project, which would add 218,000 square feet, is named for financier Richard Gilder who contributed $50 million. Gilder is the single largest contributor in the museum’s history, estimated to have given more than $125 million during the past 20 years. New York City provided $15 million through its capital budget for the Gilder Center. The city also has played a role in construction projects by the Wildlife Conservation Society (WCS), specifically in far-flung Coney Island, home to the New York Aquarium. Construction of a new exhibit topped out last summer, rising above the Coney Island Boardwalk. The new 57,500-square-foot “Ocean Wonders: Sharks!” exhibit will open next year and aims to be a conservation and education center, as well as an economic engine for Coney Island and beyond. Harlem Children’s Zone (HCZ) in New York City received major gifts to the quiet phase of its capital campaign. Total revenue has fluctuated lately, reported at almost $102 million in 2013 and $83 million in 2014 before jumping to almost $197 million last year. The spike is a result of the first year of a capital campaign, with contributions of $193 million last year, up from $73 million in 2014 and $58 million in 2013. HCZ’s capital campaign was launched last year and aimed at building its endowment and covering a portion of operating expenses for three years. That way, CEO Anne Williams-Isom can “focus on deepening our work rather than on fundraising,” according to Marty Lipp, director, communications. Funds also will be secured to pilot innovative, new programming initiatives, he added but declined to comment further given the quiet phase. About $95 million was raised in previous years related to construction of a new school building. For accounting purposes, the funds were listed as a liability but moved to revenue in 2015. Major donors were a big part of last year’s revenue boost, with $74 million coming from 10 contributions, including at least four of at least $10 million, compared with the previous year, which saw $45 million from major donors. Each year saw a single, $20-million contribution. The Task Force for Global Health has reached capacity at its Decatur, Ga., headquarters and is in need of additional space. It is expected to close this year on a sale with DeKalb County for the purchase of a six-story building in Decatur. Renovations to the first three floors are expected, with occupancy to begin late next year. The Task Force will launch a $15-million capital campaign to fund the purchase and renovations. The new space is about triple the square footage of the existing headquarters building and will allow it to increase the impact of existing programs and launch an anticipated program in non-communicable diseases.